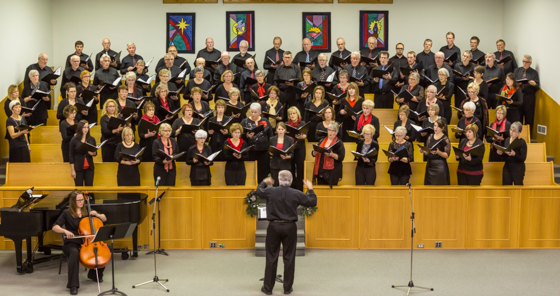 Faith and Life Choirs – Thank-you! Very warm Christmas wishes to the Faith and Life choirs and thank-you for your beautiful performance of “Oh Great Mystery.” Sincere thanks to Henry Engbrecht and Millie Hildebrand for all the good work that you’ve done to maintain the tradition of the Faith and Life Choirs! Especially, I’d like to thank Jennifer Horne for her sensitive and gentle cello playing – very fitting and much appreciated! It was wonderful to be able to attend this event. I’m so glad that we could be part of the experience. It brought back memories of the premiere 9 years ago at Stirling Avenue Mennonite, Kitchener. Also very fond memories of performances with Abendmusik in Vancouver in 2011. Many thanks to Dr. James Rodde, accompanist Elaine Millett Wedeking and the Des Moines Choral Society for posting this excerpt of the Gloria. That’s a glorious, warm sound! Wow. A joyful hello to folks in Des Moines! – Hope to visit some time. 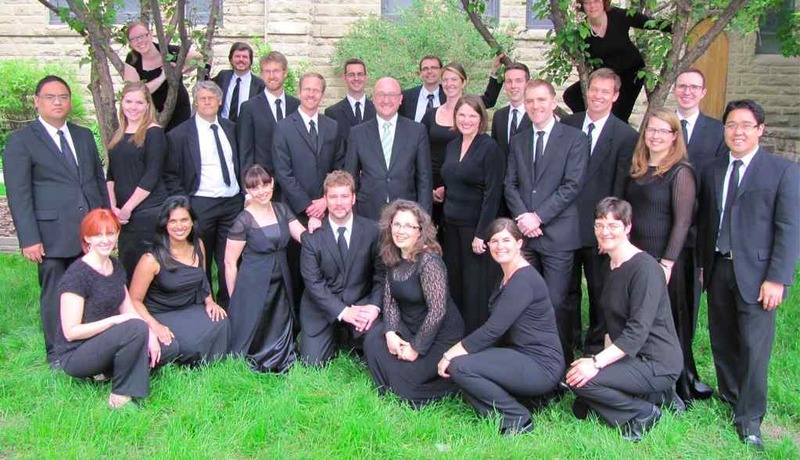 Thank-you and warm wishes to each of the singers in Luminous Voices, Calgary’s Professional Choral Ensemble. Timothy Shantz - director, Krishan Power – clarinet, Cheryl Emery – pianio, Meghan Prescott – Mezzo Soprano. Psalm 150 – Praise the Lord! I’ve posted a recording from the Grebel 50th event on the weekend. Listen to the joy in this performance! Thank-you SO much to all involved. The whole concert was a very special experience for me. Thank-you to the choirs – Chamber Choir, Chapel Choir, and University Choir – for your dedication, enthusiasm and skill. Thank-you to the percussionists, Gerard Yun, Christopher Snow, and Mikhail Laguta. Thank-you to Earl McCluskie for careful work in recording the event. Thank-you to Mark Vuorinen (conductor), Gerard Yun (conductor and percussion), Ken Hull (conductor), Deb Lacoste (trumpet), Marlin Nagtegaal (organ), Catherine Robertson (piano), and Marcus Kramer (piano) for their leadership. Thanks also to those who did all the leg work behind the scenes, the 50th Anniversary Committee and the staff involved in putting programs and tickets together. Finally, a special word of thanks to the those who made the commission possible through their generosity, Rudy and Lena Williams and Ernie and Nancy Regehr. This concert was part of the celebration of the 50th birthday of Conrad Grebel University College. This concert and all the joy surrounding it would never have happened without the College’s dedicated administrative team and the very fine teaching and mentorship of the professors, instructors and professor emerita who have nurtured CGUC over the past 50 years.